Introducing Alderaan’s new espresso, the Imperial Blend. 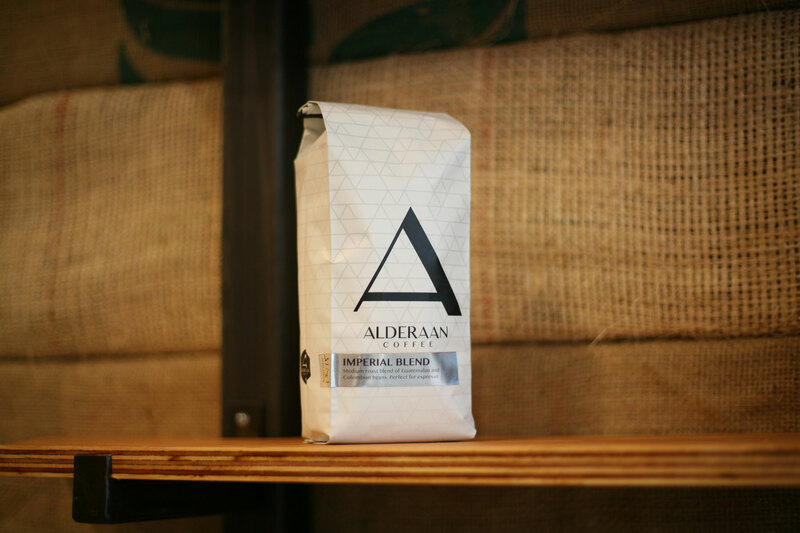 We roast Colombian and Guatemalan beans to create a medium body blend that works very well as an espresso. Always available on our espresso bar. 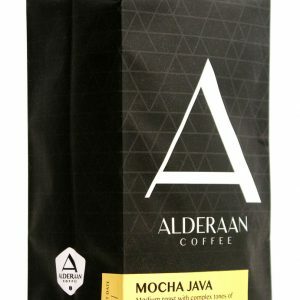 Also available to purchase by the pound at Alderaan Coffee or to purchase online. The Colombian coffee is from the Santa Barbara Estate in the southwest section of the Department of Antioquia. Don Pedro Echavarria established the Santa Barbara Estate almost three decades ago. The Santa Barbara Estate is a completely integrated coffee farm, which ensures traceability and close quality control from the cherry on the tree until the moment that the coffee arrives at our roastery. The Guatemalan SHB coffee comes from La Flor del Cafe in Cuilco, Huehuetenango, in the northwestern highlands of Guatemala. Finca Flor del Cafe has an area of about 105 hectares of coffee producing land and 35 hectares of untouched tropical rainforest.